“Mama, can we match today?” My mommy heart just about drops out of my chest on the mornings my sleepy baby girl looks up at me from her toddler bed and asks this question. I am usually frantically digging through her dresser to choose her outfit for the day while thinking of all we have to do to get out the door. It makes me pause and take in the sweetness of her request. I realize this season is short and wont last forever. When I picture Ayla and I walking around a mall ten years from now that image usually doesn’t involve us playing with a giant chess board, holding hands giggling and wearing matching shoes. I worry it may look more like her walking 3 feet ahead of me and acknowledging me only when it’s time to pay the bill at her favorite stores! I hope she still considers me her best friend and enjoys my company, but knowing there is a good chance that one day she will wake up and NOT want to match her mama makes me want to take advantage of all of these little moments while I can. 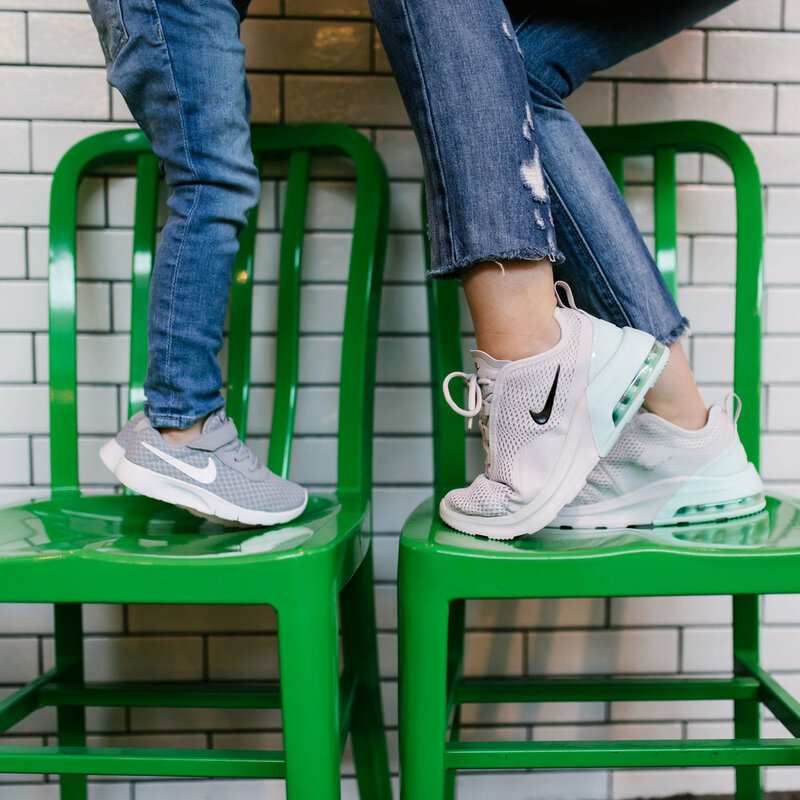 When Ayla recently outgrew her sneakers we headed to Famous Footwear to get some matching Nike’s. She had so much fun helping me pick them out and I love seeing her starting to have her own opinion on fashion. 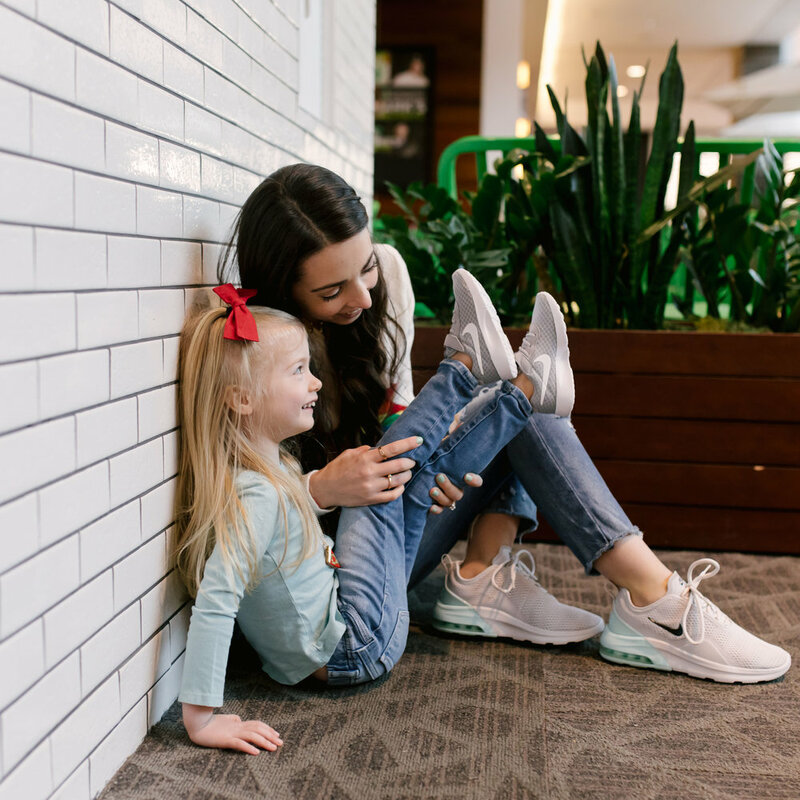 I totally fell in love with the sneakers we found and there is really no sweeter excuse to get a new pair of shoes for myself as well, than my daughter wanting to match her mommy. I have found that sometimes it can be hard to find cute matching pieces both grown up’s and kids love too. I was really happy to find that Famous Footwear actually has a number of different brands that have mommy and me matching styles for the spring. They are all super cute and you and your mini should have no problem finding the perfect style you both love. Make sure you check out their styles while your little one still wants to match!